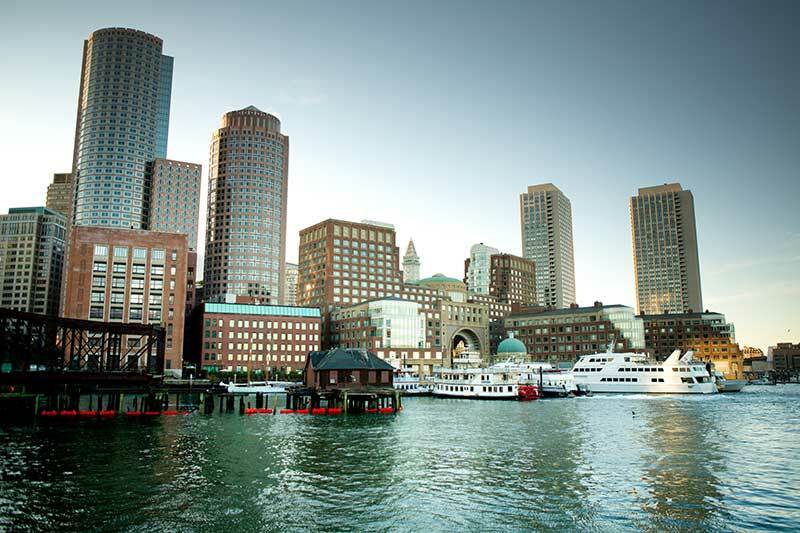 Monument Staffing is a boutique staffing agency in Boston and California. Whether you are a job seeker looking to make the next jump in your career, or an organization looking to find the next piece to your team’s puzzle, we are here to help! We specialize in administrative, operational, and support style positions, and our team is here to find creative solutions to your hiring or job searching needs. We provide quality matches for both job seekers and companies with temporary, temporary to direct hire, and direct hire needs. We pride ourselves on the relationships we build and maintain with both job seekers and the organizations we work with. Our recruiters are professional, friendly, and here to take your search seriously while also bringing some fun and personality to the job. Recruiters with a sense of humor? Who would have thought! Our clients range from Fortune 500 companies with offices all over the world, to small family owned businesses, to emerging startups who are growing like crazy and doing big things. Our long-standing relationships with many of our clients are a testament to the quality of service we provide and the very strategic matches we make between job seekers and hiring managers. Whether you are looking for your first job, or looking to hire the Executive Assistant to your leadership team, our recruiters are here to listen to your needs and advise on a strategic course of action. Having grown up on a pickle farm just outside of Nebraska, Eric always dreamed of someday owning a staffing firm in Boston. His lifelong dream came true on September 9th, 2002 and each day he has to pinch himself to make sure it’s real! Eric enjoys helping job seekers and hiring managers find the right match and in his spare time, Eric watches reruns of the Goldbergs and dreams of someday returning to his pickle roots to fulfill another dream of harvesting the world’s largest pickle (currently measured at 44 inches). Hannah helped open Monument Staffing’s doors in September 2002 as one of the founding members. In addition to running a full-desk for her team, Hannah manages the sales team, operations, employee recruitment, growth and company wide initiatives. Hannah lives by the motto: The easiest thing to give your clients is FREE Excellent Customer Service! A Graduate of the Eastman School of Music at the University of Rochester with a Bachelor of Arts degree in Viola Performance, she keeps her love for music intact working at her husband Jay’s music studio as the Violin/Viola teacher. She loves being a Mom to her kids Allyson, Jack and Sam and in her spare time (when is that?!) Hannah enjoys teaching and practicing yoga. Nelson has been recruiting in Boston ever since graduating Northeastern a gazillion years ago (fellow Huskies, reach out! ), and with Monument since 2003. What Nelson likes most about his job is meeting with clients and candidates, getting to know what they’re looking for, and making connections between them. And when he’s not doing that, Nelson is likely hanging out with his super-human wife and two fun-loving boys, OR attempting a DIY home improvement project that his wife found on Pinterest, OR homebrewing beer, OR watching the Red Sox, Patriots, or Celtics. Katherine (aka Wilson) came to Monument in 2007 after looking to them to help her find her dream job. After a quick meeting, she simply said “how do I get your job?” to her Recruiter and the rest is history. Katherine moved to Boston from Burnt Hills, NY (she’ll give you a dollar if you know where that is) after graduating in 2002 from SUNY Cortland with a degree in Anthropology…don’t ask! Katherine has an overly hard working husband named Sean and two goofball, animated, energizer bunny sons named Dane and Ryker. When she isn’t working she is trying to be the best Mom she can be by spending her time doing homework, laundry, packing lunches and on the baseball, soccer, and football field or hanging out with friends/family and cheap wine. Laura joined the Monument team after moving to Boston from California. Originally from the wine country, Sonoma, CA, she studied at UC Santa Cruz majoring in Intensive Psychology and Education. Laura excels in an environment where she can work with people and be creative. Through this and her interaction with her many organizations in college, led Laura to pursue a career in recruiting. Laura initially started as a candidate for Monument Staffing and later joined the Monument Team. Laura can be found singing her heart out in her free time (well more like all the time) and spending as much time outdoors as she can get. Tamia is Boston born and raised and joined the Monument team from a career in payroll. With a degree in Accounting, a bubbly personality, and a weird love of numbers, she has been fortunate enough to gain and grow her payroll skills in different industries – from construction to healthcare. When she isn’t working, Tamia enjoys watching Turner Classic Movies habitually, listening to music, sewing, playing chess with her son, and watching football. GO PATS! Armando Machado Jr. grew up in Washington State about an hour North of Seattle. He lived on a mountain and near several lakes. He attended Lasell College in Newton, MA and quickly realized he wanted to work in Boston. He has a BA in Communication with a concentration in Public Relations and a minor in Spanish. He became a recruiter because he enjoys making new connections, building relationships, and helping people. He is passionate about the environment and social justice. In his free time, Armando likes to watch sports, hike, write, and visit the MFA. Originally from New Jersey, Chad had always wanted to move to Boston. He graduated with a BA in Music from Kean University in NJ and studied Classical Guitar. After graduation, he worked as an Administrative Assistant/Sales Rep and was searching for something more. He connected with Monument as a candidate and soon realized that Recruiting was exactly the career he was looking for. Chad is passionate about guiding others along their career paths and connecting companies with great candidates. When not working to find you an awesome job, he enjoys staying active, playing and teaching music, cooking, and relaxing on the Cape. Emma came to Monument after moving to Boston from New York. She worked as a contractor with an agency in New York City after graduating from the University of Vermont and is now excited to explore the other side of staffing! During Emma’s time as an undergrad, she was an active member of her sorority, played intramural soccer, volunteered at a local elementary school, and nannied for a wonderful family. Through all of Emma’s different interests, each experience has left her with strong connections and relationships. She loves spending time with her family (especially her sweet niece and nephew), traveling to Denmark in the summers, and so far has been kept pretty occupied with trying out all of the great foodie spots that Boston has to offer! Shani became a part of the Monument team after first coming in as a candidate, and then found exactly what she was looking for in a career with recruiting. Shani received her Bachelor’s in Health Science after moving to Boston to attend Boston University from the San Francisco Bay Area. As a health enthusiast (most of the time), Shani loves weight lifting, running, spinning, and all things fitness. Shani is also a gamer across all video game genres and platforms, and is a huge fan of the Japanese animation style known as Anime. Outside of work, you can find her battling her gamer friends after a good workout, gearing up for her next convention, attending her favorite spin class, or practicing her drawing skills. Julia initially came to Monument as a candidate and felt an immediate connection with recruiting and the Monument team. Originally from Newton, Massachusetts, Julia received her BA in Art History and Religion from Mount Holyoke College. In her spare time, Julia loves exploring art museums, curling up with a good book, traveling, acting, watching “Mad Men” re-runs, and spending time with her family and friends. Fun fact: Julia is the leader of the Monument Book Club! Melissa joined the Monument team after moving to Boston from New York City after graduating from Marist College with a degree in Communications. After two years (and many incredible experiences later), she departed from the Big Apple to pursue a new career in her favorite city. Melissa initially fell in love with Boston after numerous family trips growing up and was determined to make her dream of living there a reality. 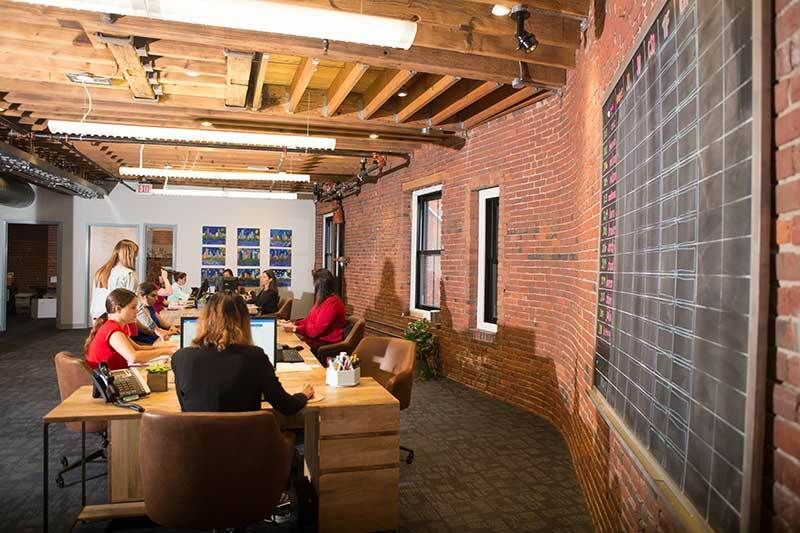 After initially meeting with the Monument team as a candidate, she felt a strong crossover between her previous skillset in PR and recruiting. Melissa is originally from upstate New York and craves being outdoors — in her free time she can be found running, relaxing by a body of water, mapping out her dream vacation abroad, or most importantly, indulging in one of her many favorite snacks. Maggie joined the Monument team after initially coming in as a candidate and quickly realized that recruiting was exactly what she was looking for in a career. Maggie moved to Boston after graduating from the University of Delaware with a degree in International Relations and during her time as a Blue Hen was also a member of the Alpha Phi sorority. Originally from Rhode Island, Maggie decided to move closer to home and look for a job in her favorite New England city. Growing up in the Ocean State Maggie has always had a love for the ocean. You can find her every summer on her favorite place on earth, Block Island. In her spare time, while not soaking up the sun on RI beaches, Maggie also loves exploring new restaurants in Boston, spending far too much money on her shopping addiction and taking obnoxious amounts of pictures and videos of her Golden Doodle, Roxy. Marsha is one of the original Monument Staffers and heads the Accounting & Operations departments. She has spent her career helping people with their personal and professional needs as a trust and estate Paralegal and personal financial administrator for private and institutional investors. Marsha is a graduate of Salem State College with a bachelor of arts in Secondary Education. In her spare time, Marsha enjoys watching movies, going for walks on the beach and following her beloved Red Sox. On the hunt for a new job in hopes of being placed by Monument, Sara ironically found herself as one of their newest employees. After graduating from DeVry University with her Bachelor’s Degree in Business Administration and Accounting, Sara has worked in various roles including Office Management, Accounting and Human Resources. Sara enjoys long days at the beach, traveling, watching movies and football, and spending as much time as possible with her husband, kids, family and friends. Becca initially came to Monument to find a temp to perm job. When Monument had an opening in the finance department, Becca knew she had to take it! Becca has been part of the core Monument team since September 2015. Becca is an introvert who loves to spend time with her family and friends, doing mystery puzzles and scrapbooking. Becca married the love of her life, Chris, in August 2017. You will now find Becca and Chris going on adventures, trying new things and cooking together before Becca kicks Chris out of the kitchen. Michelle is a mom but truly a kid a heart. She loves everything outdoors: biking, swimming, hiking, etc., and also loves photography. When she’s not in the wilderness snapping photos and enjoying nature, she’s in the kitchen prepping a delicious meal for friends and family. She also is pretty funny—or at least, she thinks she is. Ellen graduated from The University of Vermont with a Bachelor of Arts in English. Coming from a family of big Sox fans, Ellen knew she wanted to move to Boston- but she wasn’t sure what she wanted to do just yet. After coming in to Monument Staffing as a candidate, she realized that recruiting at an awesome company like theirs was exactly what she was looking for. Ellen is the youngest of four girls. You can find her on a plane (or on a long drive) to visit her sisters in Washington D.C, Cleveland, or in Denver. Ellen loves to ski, hike, and do anything outdoors. In the summer you can find her kayaking, paddle boarding, or boating on Lake Zoar at her house in Connecticut. Ellen loves to be surrounded by family and friends, and she also loves to write. Scott grew up in an Army family, mainly in the Southeast. He graduated from Campbell University (go Camels!) with a bachelor’s degree in Business Administration and a concentration in PGA Golf Management. He moved to Boston to be near his fiancée Theresa’s family, and they now reside in the South Shore with their daughter, Grace. Scott enjoys recruiting for the new challenges it presents on a daily basis and assisting people during the excitement of a new job opportunity. In his spare time he plays and watches as much golf as possible. Scott also enjoys cooking, reading and all things wine. Originally from Southern California, Monique moved to Boston for school and her love of the local sports teams. She graduated from Fisher College with a Bachelor of Science in Management and a concentration in marketing. After connecting with Monument as a candidate, she decided her calling was to help others with their career path and finding companies the best candidates. In her spare time, she loves playing with puppies and trying new restaurants. Laura graduated with her Bachelor of Science in Human Resources Management in 2017 and her MBA from Quinnipiac University in 2018. Upon her first interview at Monument, Laura felt an immediate connection with the team and immediately started in 2019. Originally from Napa, California Laura moved to the East Coast for college. Her great sense of adventure has not only brought her across the country but all over the world as well. Laura loves to travel and takes every opportunity to do so. She has been all over Europe and South America. In her spare time Laura loves to be outside. She can often be found running around Boston or hiking in Maine. When it’s too cold to venture out she is happy to stay inside to spin or do yoga.